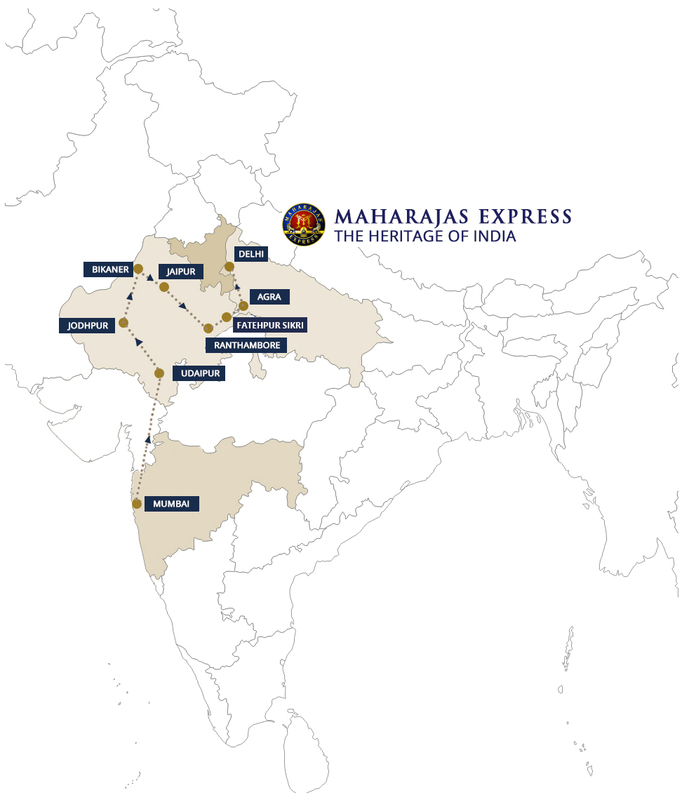 Guests are then escorted to Chhatrapati Shivaji Terminus railway station, Mumbai to board the Maharajas' Express and begin their Indian heritage luxury tours. Guests can satiate their hunger with a sumptuous on board dinner and then spend the overnight in lavish cabins and suites of Maharajas'. Begin your day with an on board breakfast. The Maharajas' Express then proceeds for the Venice of East – Udaipur, the second destination of Heritage of India tour. 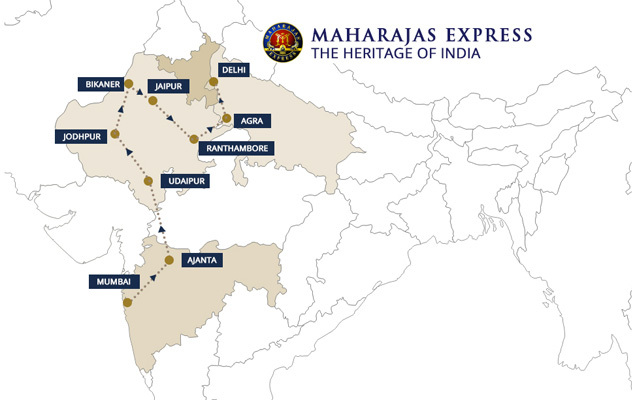 Enjoy your on board dinner and spend the night on the opulent Maharajas' Express. As soon as guests arrive in City of Lakes – Udaipur, they proceed for a rejuvenating boat ride on the calm waters of Lake Pichola followed by visit to grandiose City Palace which also has a vast collection of ancient miniature paintings and Crystal Gallery. In our iconic Indian heritage luxury tours guests can also peek into Indian artistry. Guests can then have a royal lunch at Satkar Hall of Fateh Prakash Palace in the premises of City Palace. Have a lavish dinner in our thematic restaurants - Rang Mahal and Mayur Mahal. Have your lunch on board. Post lunch, guests proceed to visit the archaic Mehrangarh Fort followed by walking tour of the Old Clock Tower Market. Guests can experience like locales of the city in our special Heritage Train Tours with a joy ride on Tuk-Tuk. Guests can then proceed for an exclusive Royal Cocktail Dinner with cultural performance, a highlight of our Heritage of India (puppet show) at Hanwant Mahal. The day five in our Heritage of India tour begins while having on board breakfast which guests can enjoy with a quaint view of countryside. Deshnok (Rat Temple)-is about 600 year old and is known for its sacred rats. Guests have their lunch on board and proceed to visit Junagarh Fort. Guests then proceed for sundowners cocktails amidst the picturesque Sand Dunes. Enroute tea break at Gajner Palace. After that guests proceed to City Palace/Jai Mahal Palace where they can get a closer look at the Heritage of India and also indulge in an elephant activity where guests may choose to paint them, feed them or take a regal [Royale ride] ride followed by lunch. Guests later return to the comforts of Maharajas' Express and enjoy an "Indian Evening" followed by dinner on-board; a speciality of our Heritage Train Tour. Relish the last lunch of the tour on-board.